Manfrotto has launched its new Noreg camera bag series with the Backpack-30 and Messenger-30 models. Both bags are designed for premium mirrorless camera systems, each featuring internal camera units that can be removed and used independently of the larger bags. Manfrotto said the backpack and messenger bags have connectors for carrying travel size tripods. The Noreg series feature the same aesthetic and many mutual features, including enough room to accommodate up to a 15-inch laptop and 9.7-inch tablet, rain covers, interchangeable internal dividers, Flexi dividers, strap connectors for attaching the bags to luggage handles and sizes that enable them to be used as carry-on bags with many airlines. The bags have the Manfrotto Protection System for helping shield gear from shocks. The backpack also adds a quick access zippered opening on the top alongside a zippered top flap. Additional accessory items, such as keys and a wallet, can be stored in the backpack's front multi-zippered pockets. 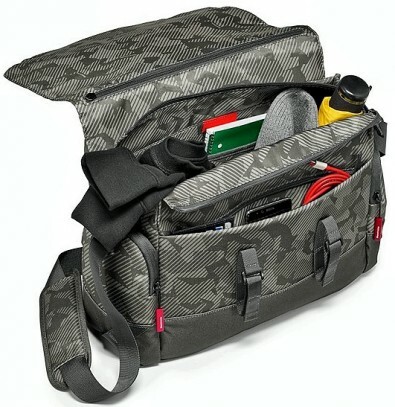 The messenger bag features a bungee cord and pocket on the side for holding items, such as a monopod.